It’s toy time in the South East! There’s a new toy library in town – and it’s full of fun for your children! A trailer of treasures has hit the road in the Wattle Range, offering new play experiences for families to nurture children’s early learning and development. 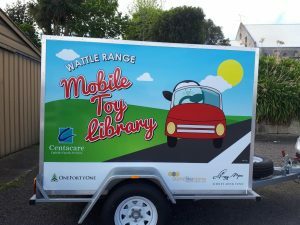 In addition to borrowing educational resources for children, parents can access other supports – such as parenting education and referral to community services – through the mobile toy library, which is run by Centacare’s Family Connections Program. Family Worker Romlea Smith said the toy library evolved out of discussions with families, and a survey to identify gaps in services based on their needs, conducted by Centacare late last year. From scooters and step-a-stones to puzzles and educational games, the toy library aims to help children develop a range of skills through play and imagination, Romlea said. Toys can be borrowed for two weeks at a time. The 2015 Australian Early Development Census measuring child development in specific regions across the nation found children living in the Wattle Range were behind in areas of development compared with their state and national counterparts. “We hope the toy library will provide opportunities for families to address these issues,’’ Romlea said. “For example, puzzles can not only assist children with their cognitive skills and problem-solving but also their fine motor skills, hand-eye co-ordination, spatial awareness, confidence and resilience. The toy library was generously funded by Stand Like Stone Foundation, One Forty One Plantations and the Sidney Myer Fund. 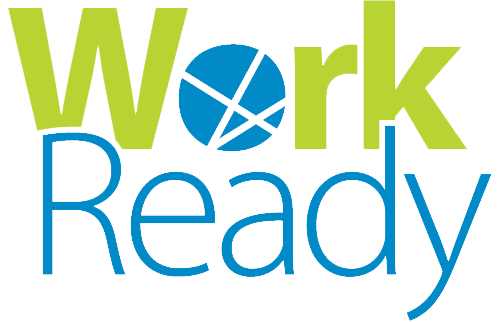 Family Connections is funded by the Australian government Department of Social Services and has been working with families with children aged 0 to 12 years from across the South East since 2015. For more information about the toy library and when it will be visiting your region, please phone Centacare’s Family Connections team on 8303 6630.